DLS continues to be contracted for major overhauls and upgrades. utilisation of combat team on the mobile battlefield. Denel Land Systems is renowned for providing high quality infantry weapons. weapons could then be mounted on the turret or sold separately. 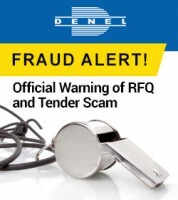 Denel Land Systems, a division of Denel SOC Ltd, is a diversified high-tech industrial group registered under the South African Companies Act, with the State as the sole shareholder. Denel Group was formed in 1992 when most of the subsidiaries of Armscor, the State armaments procurement agent, were regrouped into a commercial company. In 2012, Mechem was incorporated into Denel Land Systems, also a division of Denel SOC Ltd. Today, Denel operates according to sound business principles. Denel's activities encompass defence systems, aviation, commercial products and information technology. 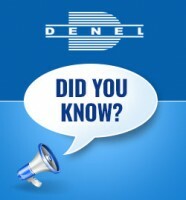 Denel is involved in research and development, as well as manufacturing and product support. It has six operating and industrial divisions throughout South Africa and employs 8 000 people. Denel Land Systems is proud to be a cornerstone division of this multifaceted organisation. Denel Land Systems strives to be profitable and market-driven, maintaining real growth in shareholder value and creating prosperity for all South Africans. It consolidates its position and ensures future growth by expanding its product range and markets through the formation of local and international alliances and partnerships.